Through Achieving the Dream (ATD), the IAIA Pathways Council is charged with implementing an action plan to engage the entire Institute of American Indian Arts (IAIA) community in supporting student persistence and completion strategies to increase financial resources, accelerate progress through general education and degree courses, and improve class attendance. 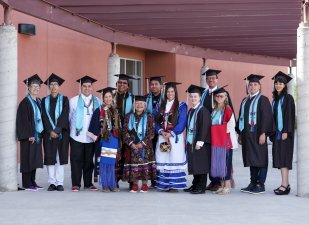 “Completing the Circle” refers to our students succeeding from the moment they enter IAIA, through graduation and returning to their communities as leaders. 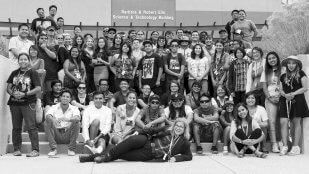 We will be calling on all IAIA community members to aid in our student’s success! Approximately 80% of new students go into Developmental Education. There were over 1000 unexcused absences recorded by instructors during spring semester 2018. There were over 200 early alerts during spring semester 2018. The costs of an education are a major obstacle for every student. We will leverage the Project Success initiatives (Emergency Aid, Financial Literacy via GradReady, Internships) and a targeted scholarship push to improve the financial landscape for our students. Completion of the priority will see more students applying for scholarships, more FAFSA completion, better money management among our students, and a user-friendly navigation process concerning financial resources. Financial Aid will collaborate with the English instructors and Learning Lab to support students’ completion of Financial Aid applications for the American Indian College Fund (AICF). This priority will focus on assessing and strengthening developmental and general education English and Math to improve student retention and accelerate student progress through general education requirements. Students that test into the developmental education Math and English courses take between 3 and 12 additional credits which can become a financial barrier to completing their degree. We have designed accelerated and linked models of English and Math classes to more deeply engage students while also minimizing the number of these classes that students will need to take in order to hone skills for success throughout their college careers. 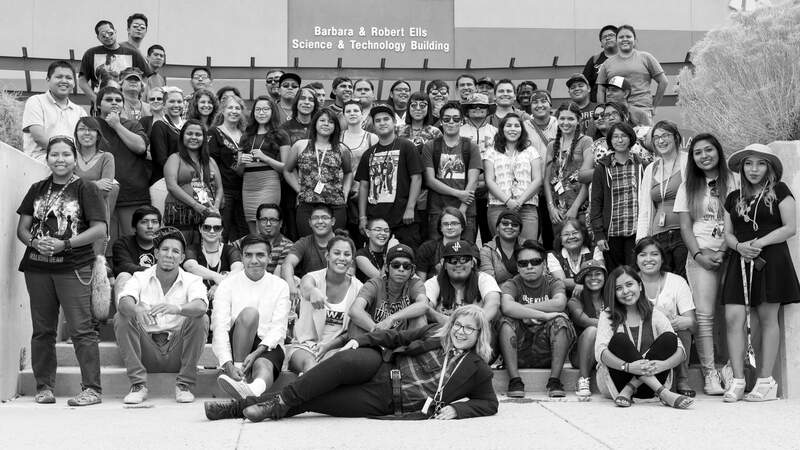 Attendance is often key to a student’s success at IAIA both academically and financially. It can come as a surprise to a student when they learn that their absences are calculated into their financial aid. Students at IAIA with a multitude of absences tend to be lower achieving, with lower persistence/completion rates. All faculty, full-time and part-time, are allowed to interpret and create their own attendance policies which has led to confusion on the part of the students. Current policies surrounding attendance, early alert, and withdrawal due to excessive attendance need review. 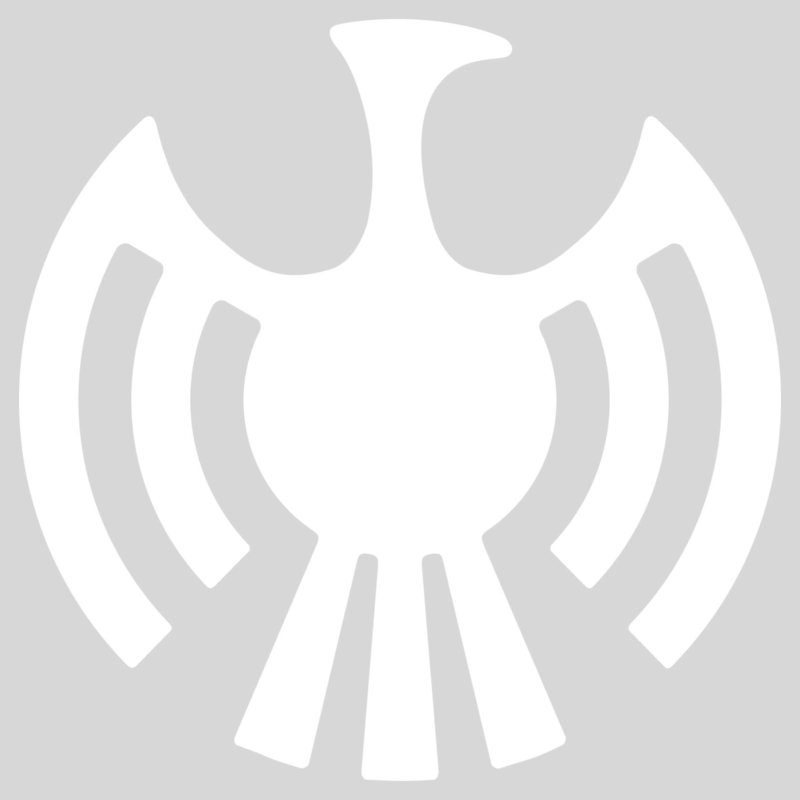 This priority will look at our current policies related to attendance, update/change them as needed, provide training for community members in best practices for increasing attendance, and communicate these policies clearly to the IAIA community. The major aim of this priority is to have a clear and concise set of policies for faculty, staff, and adjunct faculty to follow, as well as better communication on these policies to the student body. We aim to create a culture of responsibility and personal investment to keep students on track to graduate. Note: Early Alert is included as part of the blanket attendance policies for this priority. Early alerts can be issued for a number of reasons but one contributing factor is often attendance.